Alsager Civic Cinema have two films lined up for February. 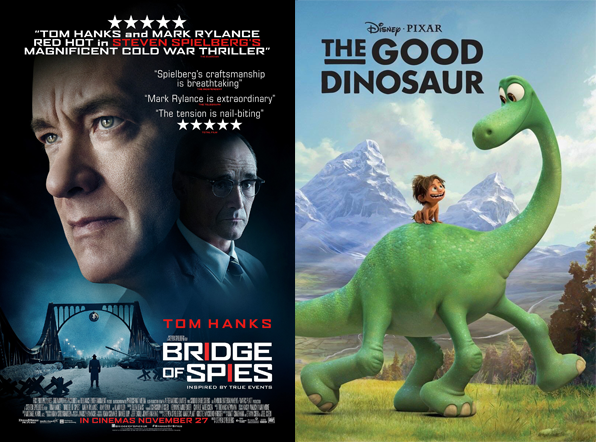 Bridge of Spies Bridge of Spies and the Good Dinosaur. a Brooklyn lawyer who finds himself thrust into the centre of the Cold War when the CIA sends him on the near-impossible task to negotiate the release of a captured American U-2 pilot. Bridge of Spies finds new life in Hollywood’s classic Cold War espionage thriller formula, thanks to reliably outstanding work from Steven Spielberg and Tom Hanks. Bridge of Spies is being shown on 15th February at 7.30pm, doors open at 6.30pm and tickets are £5.00 each, available from Alsager Civic.